Traveling to Bermuda? Take some Tips from a Local! Flying into Bermuda one arrives at what is now The L. F. Wade International Airport, named after a prominent political stalwart who commandeered the local opposition party (now the governing party) during the 1980’s. The sounds of a live calypso band entertain you as you wait to pass through Immigration, unfortunately there are no complimentary rum drinks offered to assist in easing the pain of the customs experience. There are though, no shortages of tropical cocktails in the abundance of bars, pubs and tour boats that await your patronage once you’re through customs! Whatever you do, don’t under any circumstances attempt to bring any amount of any drugs to Bermuda. Even small amounts of cannabis will be harshly dealt with and you’ll find yourself in a vacation nightmare. Fines of $1000 are handed out readily for amounts as small as a half gram, and to boot, you’ll be sent back on the first plane available upon completion of your court appearance and incarceration! This also applies if you’re travelling by cruise ship, the customs officers bring sniffer dogs on board and the papers are filled daily with visitors appearing in court for minor drug offences. Once through customs and out of the airport or cruise ship terminal, there are taxis and public transportation at your disposal. A taxi ride to Hamilton will cost you about $30.00, if you’re travelling further than Hamilton, say to Somerset, it can cost up to $50.00. The public buses leave every 15 minutes from most areas and are usually on time. In fact Bermuda’s public transportation system is rated as one of the best in the world. The cost of a bus ride is only $4.00 to travel the entire length of the island and only $2.50 for shorter journeys which are measured by zones. Public transportation in Bermuda for seniors is free! The public transport system here is one of the best in the world, and this or taxis are the recommended manner to get around here for the duration of your stay.. The busses and ferries are generally on time, and with the addition of the fast ferries to the Government fleet, the eastern and western ends of the island, St.George and Dockyard, are accessible in minutes. Taxi prices are very competitive if travelling in groups of 4 or 6 people and one of the best ways to get to know Bermuda and its people is to befriend a taxi driver. Whatever you do, stay off of the mopeds. The traffic in Bermuda these days is horrendous and on average there are 300 accidents per month. The courtesy towards tourists which were extended in the past are now rare, and there are some whose vacations have ended in sorrow because of this. If you decide to rent a moped anyway, remember, we drive on the left hand side! Again, secure your valuables under your bike seat as handbag snatching is common. Don’t leave them in the basket. Also, avoid isolated roads, especially late at night or in the early hours, as there are occasional “highway robberies” when people are knocked off of their scooters and robbed. I’m not trying to frighten you; I’m really just being honest. There is, as much as I hate to say it, a bad element in Bermuda, and moped riders are one of their biggest targets. In spite of these social ills, it's a magical place, and a good time may be had by all. Simply exercising good sense and caution will allow you to enjoy both the beauty and uniqueness the island has to offer without incident. Some of the nicest places to stay in Bermuda are the many small guest houses, most of which retain a warm family type, mom and pop atmosphere, and oftentimes friends for life are made by staying at such. There is a multitude to choose from in various locales, rates range from around $80.00 per night/room up to around $180 for the high end ones. Some are Bed and breakfast, some are self catering. If you are travelling with a group of friends or another couple, it is well worth renting a private home or villa for your vacation. The prices are very reasonable considering the luxurious ambience and independence and privacy you will enjoy. Wherever you decide to stay, please exercise good sense and caution in securing your valuables. There is a drug problem in Bermuda as there is everywhere else, so though it’s tempting to leave your doors or windows open at night to enjoy the cool tropical breeze, put on the air conditioner instead and lock your doors and windows. If a Hotel is what you desire there are several to choose from, though of course because of the expense of running a large establishment in Bermuda, be prepared to pay top dollar, around $300-500 per night for a simple efficient room Whether you're traveling via cruise ship or by air, being out on the beautiful water is the best way to both enjoy the scintillating splendour of the island and the good humour, friendliness and hospitality of its people. There is no shortage of water tours in Bermuda, from snorkelling excursions, glass bottom boats, eco-tours, parasailing and sailing, and all of them are fun and informative. Only one word of wisdom here, the effects of rum are amplified by the sun and sea air, so take it easy on the rum drinks! They go down very smoothly, and before you know it, you’re in a swizzle-induced stupor! But if that’s your thing………!! The beach, of course, is another way to enjoy the water side of the island, and Horseshoe Bay and its accompanying coves offer some of the best swimming and scenery in the world. The best beaches are all on the south shore and most are accessible to the public and via public transportation; Elbow Beach and Church Bay (excellent for snorkelling) are also amongst the most popular. Please do not leave valuables unattended while on the beaches! The night life around the island consists of a few pubs in Hamilton and in the major hotels. Entertainment is sadly lacking, and many of Bermuda’s most talented performers eventually go overseas. Though bands can be found in the bars on Front Street, they won’t be any different than anything you hear at home, in fact, you probably will be listening to an American band from Massachusetts! Again be careful out there. I would avoid the city of Hamilton bars after 10pm on Friday and Saturday nights when they are full of alcohol sodden, belligerent youth. Rather go to a Hotel pub or nightclub on those evenings, there are some good ones in great locations patronized by a more mature crowd. Bermuda is a great place to work on your golf swing! Golfing here is heavenly, and Bermudians proudly claim that there are more bars, churches and golf courses per square mile in Bermuda than anywhere else in the world. Nice combination huh? The Belmont Hills, a semi-private course, www.bemonthills.com is my personal favourite and has nothing to do with the fact that my brother Brian Morris is one of the head pros there along with Darron Swan, considered one of Bermuda’s finest teaching pros. Well, maybe it does a little! The course is though, one of the island's, and if you decide to play there please tell Brian and Darron that Gary says hello. You never know what benefits that might bring! The Mid Ocean Club www.themidoceanclubbermuda.com is known to be one of Ben Crenshaw’s favourite places to play, and has been the venue of PGA tour events. Ranked recently by Golf Digest magazine as the 45th best course in the world, it is a private club open to the public on Friday afternoons only, so book early! The Riddels Bay Golf Course was the first 18 hole course in Bermuda and features wonderful seaside greens and fairways. It is a private course, however, visitors are accepted, simply call for playability on the day you choose. Tucker’s Point www.tuckerspoint.com is an old time favourite of mine, in fact it was where I was introduced to the game of golf by my father, who would take us regularly, at first allowing my brothers and I to ride around in or drive the cart, and eventually to teach us the game. It is originally a Robert Trent-Jones designed course, and recently re-designed is by far one of the best here. There is a lot of history in Bermuda,especially in St.George and The Dockyard and you'll will be surprised to know how the ties between my country and yours extend back to the times of Jamestown and the colonization of America. Visiting the historical town of St.George and The British royal Naval Dockyard will be a wonderful experience for both the history buff and those that like the quaintness of small country-like towns. 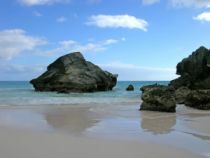 Bermuda is a wonderful place with lots to offer the visitor. If you decide to visit, enjoy the hospitality and natural beauty of my island home, which Mark Twain stated that he preferred to heaven! If I can be of any assistance please feel free to contact me using the form below. Take a Trip Inside the Bermuda Triangle. But be Careful!